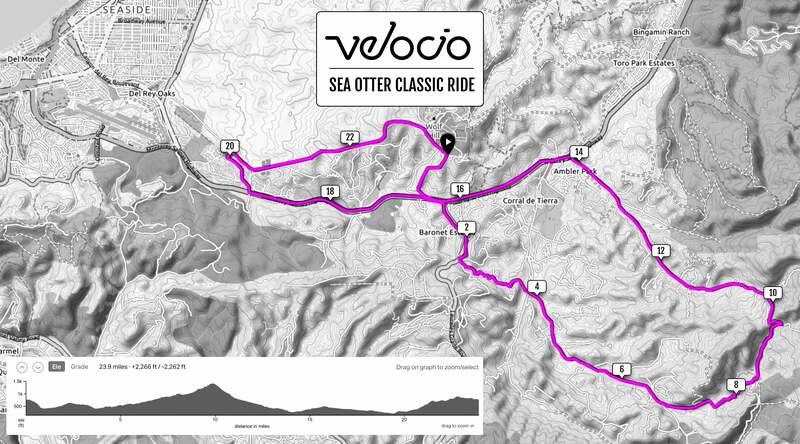 Ride with Velocio at the Sea Otter Classic in Monterey, CA. With our latest collection of apparel on hand, visit Booth K26 to meet Velocio Ambassadors and sign up for daily giveaways. On Friday morning at 8am, feel first-hand how our there is a better way to ride. Join us for a 2 hour road ride from the booth where all participants will ride away with a free pair of Velocio socks. Robin Farina is a former US Road Champion that now spends her time traveling, coaching, and drinking wine with her clients. Anna Grace Christensen is former professional road cyclist and is now enjoying all things gravel. She hangs out in Portland, OR. Jacob Rathe is a former pro road cyclist and when not riding around Portland he helps people avert bike theft with OTTOLOCK. Originally from Boston, Lindsay Dwyer is a relative newcomer to the bike, but clocking up the dirt podiums in Northern California at a fierce rate. Brad Huff is a has-been pro roadie with farm kid work ethic. He's now enjoying life in the kit he always wanted! Jody Wilson has spent the past year living abroad in Girona, Spain and loves long weekend rides with anyone that will put up with his numerous cafe stops and coffee consumption. Sara Headley has branched out after her road racing career to coaching high school mountain biking and learning how to sit for long periods of time as a grad student. A 24 mile route through the hills of Salinas.